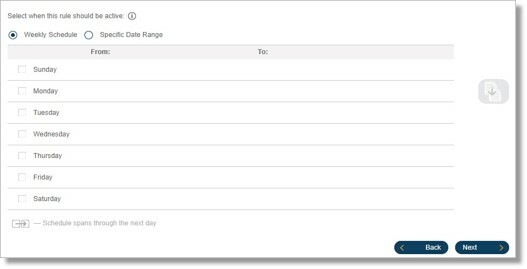 This article discusses how to access and configure the Advanced Call Handling section of a Call Queue group. 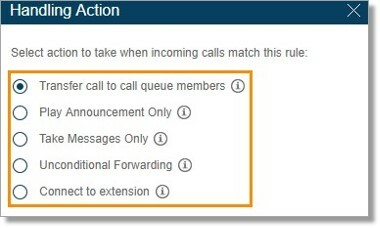 Go to Phone System > Groups, under the Call Queues tab, select the Call Queue Group that needs to be modified. Click Call Handling > Advanced. Set a name for the new rule and where you want the new rule to work. Also, select the Base Custom rule on the following condition. Click Next to proceed. Date and/or Time rules – Apply based on a time of the day and week every week, or on a specific date range. Called Number rules – Apply based on the phone number your clients dialed; for example, a phone number you are using for a customer promotion campaign. Define the condition on your selected custom rule. 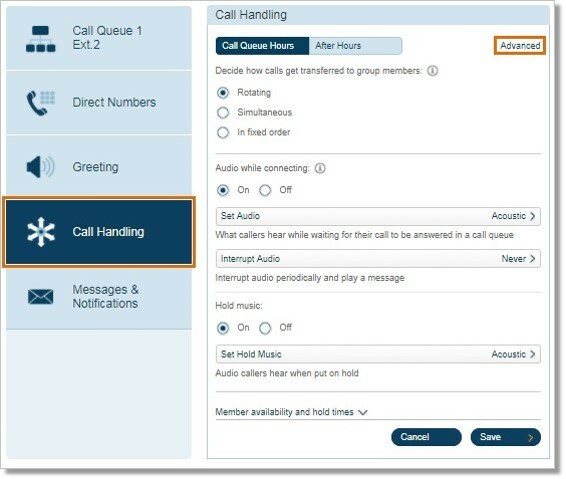 Distribute the call among your call queue members, using the members and rules you’ve already established for this call queue. 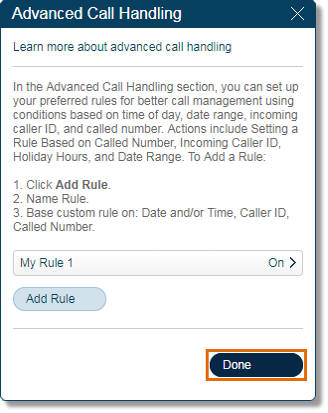 For this option you may also change Call Screening, Call Handling, and Messages setting. Play a pre-recorded announcement and end the call afterwards. For this option you may also change the Greeting. Send callers to voicemail. For this option you may change the Voicemail Greeting and the Message Recipient. Transfer calls to a particular extension. Click Save to finalize changes.